Last night in the wee small hours, it appears that the data changed on the NBNco site, and with the help of the myNBN.info site and database, I can report the following updates. All areas are listed in FSAM order, which is by state. In order to check for your suburb, I suggest doing a search on the page directly within your browser. On Windows, this is usually by pressing CTRL-F. The above lists have had a basic check, and any duplicates removed. It is provided freely and without warranty, I take no responsibility for errors, omissions or exceptions. NBNco data is always subject to changes or modifications at any time. Well, it has been an interesting couple of hours. I’ve been pretty quiet on the NBN front in the last couple of weeks as work has been rather busy, but this deserves a special post. For those that follow my twitter account @Monsta_AU, you may have noticed a small post earlier tonight. Massive leak of data from #NBNco today. Gearing up to release it later tonight after cleanup. Comes from public document published by NBNco. Well, this is the post announcing what I have found. Today, NBNco published an update to its DCD plan on its website in both PDF and XLS (as ZIP) formats. 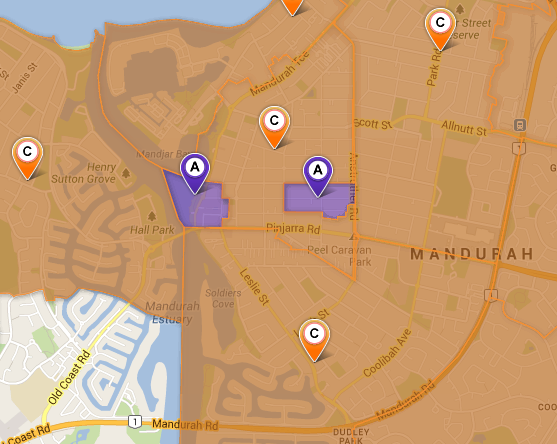 The DCD plan is a listing of when the Fibre Serving Area Module (FSAM, or each separate area on the NBNco Rollout Map) is completed and the timer starts on the 18 months for the disconnection of the copper phone services in that area. The PDF is fairly boring, but the ZIP file containing an XLS spreadsheet is available from http://www.nbnco.com.au/content/dam/nbnco/documents/rollout-info-irrr-dcd-09-August2013.zip, while due to the data contained within and the fact that I fully expect this data to be pulled offline around 8am Monday, I am mirroring at http://blog.themonsta.id.au/wp-content/uploads/2013/08/rollout-info-irrr-dcd-09-August2013.zip. Upon noting this data had change via an automated checker, I downloaded the file and opened in Excel to that it contains links to a master data source. Knowing that this means there will be some cached data within the file, I started doing some massaging, and with some help from another source I was able to pull out a heap of data from the original spreadsheet. Data I am sure that management at NBNco will want to make sure is not in the public domain. Well, you guys published it in your own website. While I have cleaned up the data, and killed a heap of columns that don’t help anybody, there’s some really interesting data in the XLSX. Like how much delay has occurred on a particular FSAM in just 5 months. But bes of all, there is a listing of a large number of FSAMs. There’s 1107 records. NBNco announced a while ago that they have designed the rollout for a million premises around the nation. It’s my educated guess that this spreadsheet is the FSAMs that contain that one million premises. The entire NBN rollout will pass around 11 million homes, so this is about 10% of the entire rollout. There is some data in here that will upset some people, especially where some dates now being shown have commencement dates in 2018 and 2019. You will have to ask NBNco why that is. I will be sending a complete extraction of the data to various local technology journalists that I respect and trust so they can do the full analysis of the information we have then ask NBNco what is going on. As an NBN supporter, I have mixed emotions about releasing this just weeks from a federal election that could indeed see the project scuttled by radical conservatives that seem to be driven to implement a pamphlet rather than properly costed policies. If Malcolm and Tony want to use this against the NBN, I will be here posing the inadequacies of their Fraudband policy. However by releasing this I believe the data being available in the tech community will enable debate and keep everybody honest. Since we had no updates last week as NBNco raced towards the June 30 targets, we are definitely due for map updates today. The new Minister for Broadband and the Digital Economy, Anthony Albanese MP, has called a press conference for today to release the rollout metrics for June 30 which is eagerly awaited. As I have access to NBN figures through a couple of sources, it appears that NBNco has indeed reached it’s revised rollout targets for both the brownfield and greenfield (new estates) rollouts. The Greenfield numbers were especially strong, achieving 44,000 premises and only being 1,000 premises short of the upper target of the target range of 45,000 premises. Brownfield rollout figured for ‘premises passed’ appears to have just scraped in with 163,600 addresses on their fibre footprint list. The disappointing part of this is around 56,000 premises are not able to connect immediately as they are in Multi-Dwelling Units (MDUs) such as apartment blocks or units which need Owners Corporation permission to make modifications to common property. Buildings where premission is not granted repeatedly may be declared ‘frustrated’ by NBNco and could be subject to a Telstra ‘stop sales’ clause where 20 days after a premises is declared frustrated, Telstra will not be able to connect anyone in that building to a copper service. Ry Crozier wrote a great article on this over at ITnews. Really looking forward to the new areas becoming official. A massive shoutout to Kenneth Tsang aka JXeeno who runs the myNBN.info rollout tracking site for his help in collecting, collating and verifying the data we had earlier. Please go and check out his work, very professional site for such a young guy. 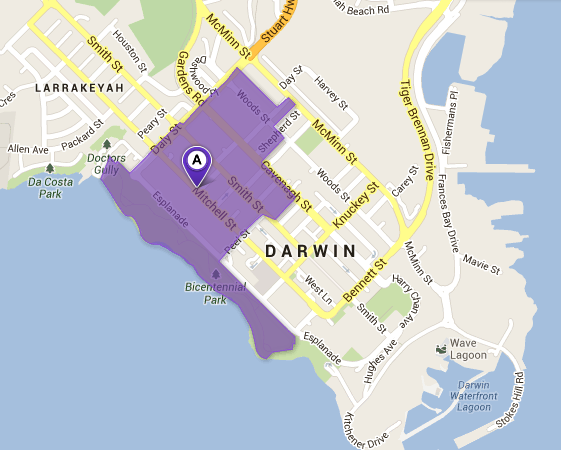 NBNco have just updated their coverage maps, as new areas have been activated in the last week. In the next five weeks, we are due for around 80,000 premises to be made active which will be a massive effort. 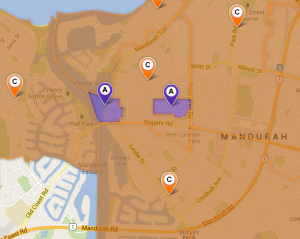 I am sure that some will miss the cut due to issues with the network not meeting testing and quality verification, but even if half of the areas go live then we will see a doubling of the premises nationally which can now access a fibre NBN connection.